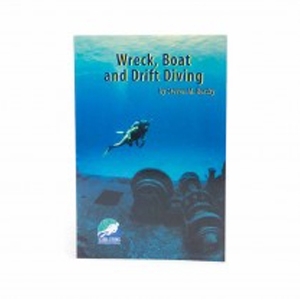 THE SDI WRECK, BOAT & DRIFT MANUAL IS A TEXT-BOOK LITERARY ASSISTANT TO THE SDI WRECK, BOAT & DRIFT CERTIFICATION COURSE. By signing up for this course, the perspective student has begun to enter one of the most popular diving activities in the world. Combining adventure, exploration, and history, shipwreck diving is something almost no diver can resist. One of the best ways to participate in wreck diving is from a dive boat, and this alone can open up new vistas of diving areas that may have originally been thought inaccessible or unreachable. Drift diving is a unique experience where a gentle current in clear water can give divers a completely different perspective on their underwater world. This manual will provide helpful hints, secrets, and techniques for all three activities. Using the SDI Wreck, Boat & Drift Manual as a reference, students may utilize the Knowledge Quest Work Booklet by answering the provided questions with the most appropriate and accurate answers.